I just upgraded all 4 Speakers, but what after marker tweeter can replace the factory tweeter? I had a look today, and it looks strange. Some small springs holds it in place, and doesnt looks like it just can be replaced. 4 very thin wires are going to the OEM tweeter, and end up in a plug. 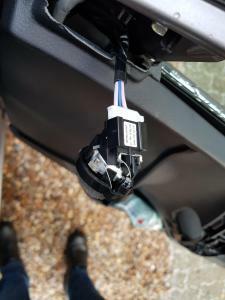 Any other after market tweeter dont require more than 2 wires, so it's a bit change. i know its from a ct but the ct had the same wiring format. 2 wires come out to the next speaker. have to agree with you its a bit strange the setup. Interesting post and very useful information. So since this is about audio, I am looking at upgrading the sound as it is rather poor. 1. 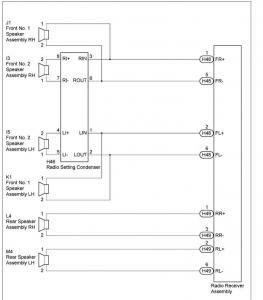 What is door speaker size front and rear? 2. What radio can I replace my OEM one that will enable me to continue to use the steering wheel buttons? 3. What Speakers did you upgrade to and how hard was to do the install yourself? Apologies for hijacking your post. The 2015/2016 Auris uses 6.5" Speakers in front and rear. The install is easy, wiring to the front is 2.5 mm2, and 1.5 mm2 to the back. I got 3 meters speaker cable and loose fittings, and made cables my self. 2x40 cm cable per Speakers is more than enough. I got a rather cheap set of MDS FR6, but anything is better than factory Speakers. There is plenty of room inside the door to fit sound proff material, don't forget to do so. Access is easy once the old speaker is removed. One thing I noticed... 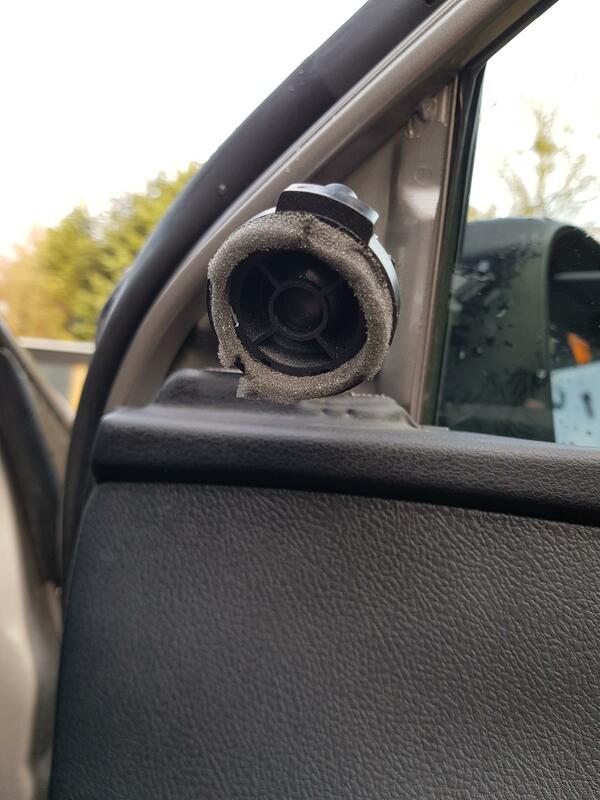 The inside of the door is wet, the rubber strib along the window allows rain to drop inside the door, and it will hit your Speakers. I dont know if the Speakers can take it, I thought about fitting a piece of plastic inside the door, as a "roof", so water drops wont hit the Speakers directly. This is what the OEM tweeter look like. Is there anything that can replace it? Both right and left tweeter has a plug with 4 wires. I'm just not sure what to do with the wires... must the two positives be joined in one new plug and the two negatives also in one new plug, wich are connected to the new tweeter? 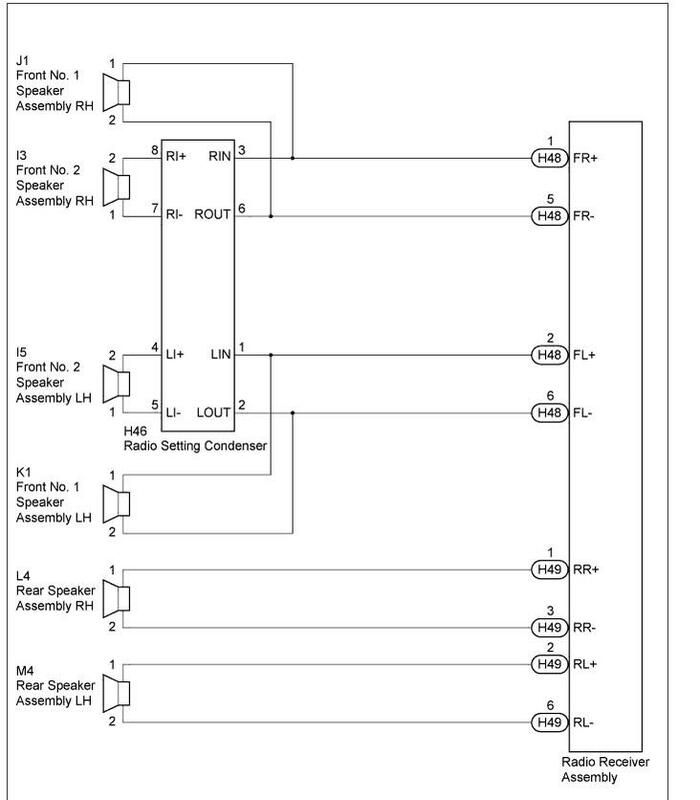 As per that other thread, you need to test those four wires to see which are paired by the socket, you will have to be careful as if you get it wrong you will create a dead short that could blow the head unit / amplifier. What is not clear from that thread is if the plug and socket unit on the tweeter contains a cross over, which is designed to pass only low frequency sounds to the woofer, which could be detrimental to your new Speakers as it may not get the full range it needs. Not sure about the ' MDS FR6 ' Speakers you fitted seems little detail about them, but looks as it they have an inbuilt tweeter, so do you really need to replace the stock ones as well ? What do the new Speakers sound like with the Toyota tweeters connected , then disconnected ? As for moisture and Speakers, avoid at all costs, so put a protective layer above and behind each speaker if its already damp, preferably replace the rubber seal if its leaking, also make sure the door bottom drain holes are clear so any water coming inside the door has an escape route.